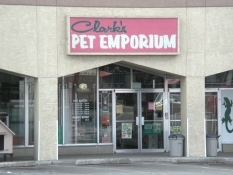 Here at Clark’s we understand dogs and there are many reasons for you to give your pup a treat! Whether you are using treats as a training tool, a distraction as you slip out the door, or to say thank you to a loving friend, we help you find just the right treat for your dog. Dogs in general are very motivated by foods and treats. This works to our advantage most when training. Positive, reward-based training has been shown to be very effective with most dogs and can be a great bonding experience for you and your dog. We carry a large variety of biscuits, all shapes and sizes. Some of the smaller pea sized biscuits are great for taking with you, using for training, or using in an enrichment toy. For the ingredient savvy, we have natural, grain free, low calorie, even vegetarian recipes to choose from. 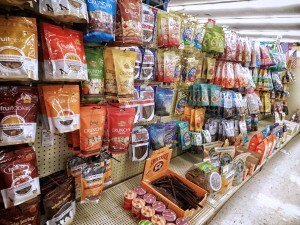 Natural jerky and freeze dried treats with a variety of meat, poultry and vegetable sources are good choices; they are usually lower in fat than other types of treats. Smoked or raw bones are a great way to satisfy the natural urge to chew. Raw bones have added benefits of enzymes that help your dog’s dental and digestive health. Some dog treats can be not only good tasting, but good for your dog. We have treats that have vitamins, treats to keep their teeth clean, treats to help their joints, and even dog treats to soothe an upset stomach. We also have a line of completely organic dog treats! 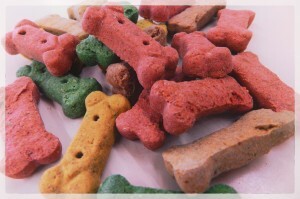 Reward your furry friend and stop by one of our pet shops to see a great selection of dog treats in Albuquerque.